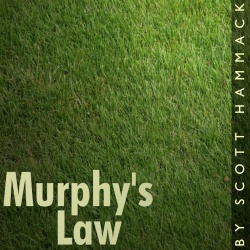 Murphy's Law (Scott Hammack; 30-Sep-2012; Z-code). Testers: Alex Dudley and Adam Parrish. IF Comp 2012: 15th place of 28 entries. Murphy's Law - at IFDB. Murphy's Law - at ifwizz interactive fiction (in German). This page was last modified on 24 June 2016, at 17:43.